Sometimes you just crave a hunk of meat. That was me today so today after work, I stopped by Whole Foods where I made a beeline for the meat counter. Most of their meats are local, pasture-fed, organic products and are very clearly labeled as such, which meant I was in locavore grocery shopping heaven. I got a Chateaubriand steak, which is a thick Tenderloin cut. 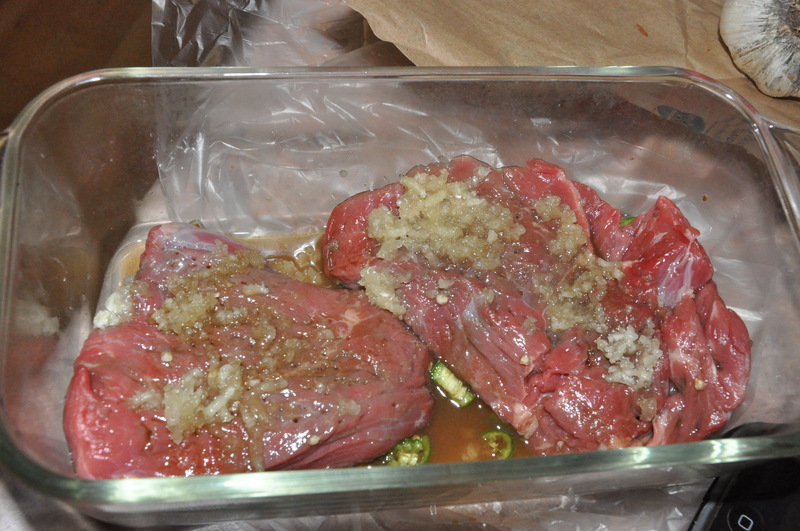 Let the meat marinate in the fridge for an hour or two. 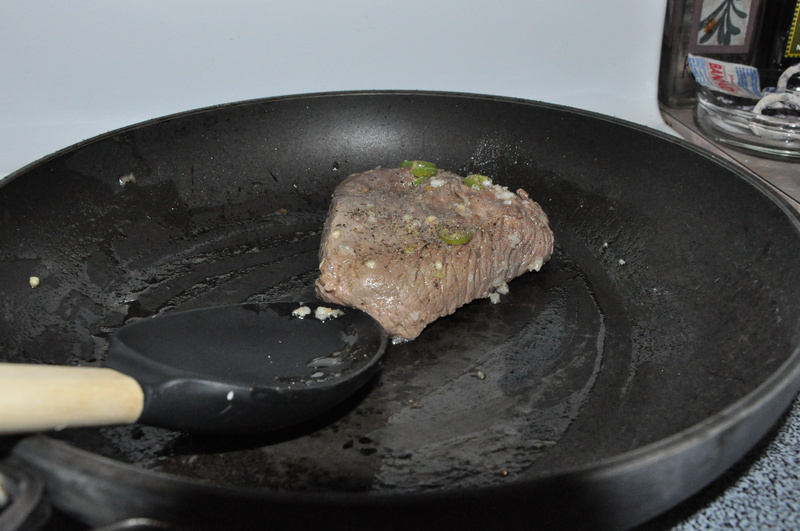 Then, melt a slice of butter on high heat in a frying pan and add the meat to brown on both sides. This is a key step that a lot of people forget. It seals the juices to keep the meat plump and tender while it cooks. Throw the meat back into the marinade and cook on 410 for 25 minutes. Meanwhile, start making the sautéed mushrooms to be served over bread and topped with asiago cheese. The full recipe can be found here. I replaced arugula with beet tops and sorrel because that is what I had to work with in my CSA. At one point my mom walks into the room and literally stops dead in her tracks. “Don’t talk. Let me just smell this,” she said. 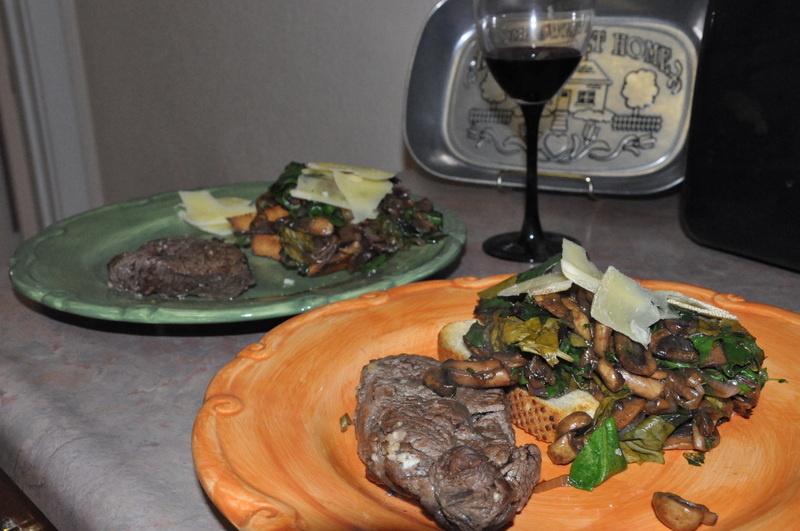 The entire meal turned out delicious!